A welcome and orientation to your class by the LCY co-director or program manager during the first or second week of class. A City Project Lead class visit to discuss the project with student team and answer questions. This should be scheduled during the first or second week of class. 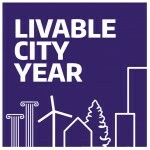 The City Project Lead and LCY orientation visits can be during the same class session. Mid-term presentation to City Project Leads (at UW or City) during Weeks 5 or 6. 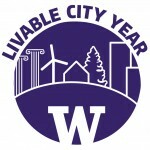 Final presentation to City Project Leads (at UW or City) during Week 10 or Finals Week. Complete the Scope of Work in collaboration with the City Project Lead, and both of you sign. Meet in person with LCY Program Manager for orientation. Supervise project to ensure students are staying on track. Guide your students in professional conduct (e.g., email communication, cultural competency, how to dress for a professional presentation). Communicate with Project Lead as needed, and according to the communication plan established in your Scope of Work. Reach out to LCY Program Manager for instructional support funding and UCAR reservation support. Respond to email queries from LCY co-directors and program manager. Inform LCY program of upcoming project highlights (e.g., guest speakers, field trips, presentations to city staff), so that we can promote and attend, if possible. Inform LCY program team of any project challenges (e.g., project heading off the rails for any reason). Ensure that students are photographing and documenting their process and thinking about how to represent their project visually in the final report using high resolution images and graphics. City Project Lead visits class to discuss project with student team. The LCY co-director or program manager visits class and provides a short welcome and orientation. Review Scope of Work with your students. Discuss the final report and poster requirements. Remind students to document their project with photos. Submit final class roster (with student years and email addresses) to LCY Program Manager. Identify student(s) to write the final report and presentation poster. Provide name(s) and contact info to LCY. LCY orients student report writers outside of class. Review poster and final report (typically 10-12 weeks after quarter ends). Meet with LCY co-directors to provide feedback on the LCY experience. Fill out an online EPIC evaluation. We would appreciate it if you would help spread the word about LCY to your colleagues and invite us to speak at a department faculty meeting. Look for a note to your Chair/Dean highlighting your contributions. We will circulate evaluation results and a year-end summary. We will circulate an electronic compilation booklet of projects — drawn from the material on your poster — that you can share ( e.g., with clients, or on research grants as a demonstration). You can use all of the above to insert into your annual faculty plans/reports or promotion packet materials. Let us know if you plan to use or end up using the project to inform grants or in research papers (for the latter, please be sure to acknowledge LCY in your papers!). Let us know if the project was used as the basis of a thesis or dissertation and please share the final thesis/dissertation link with us. We encourage you to add a link/citation to the LCY project poster and report on your faculty page.